Fourth in the Black History series held in Macedonia community of Edgefield invited longtime resident Vivian Floyd to the event. 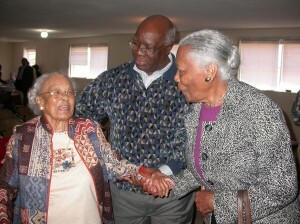 Here she is speaking with David Rearden and Vera Sumpter. 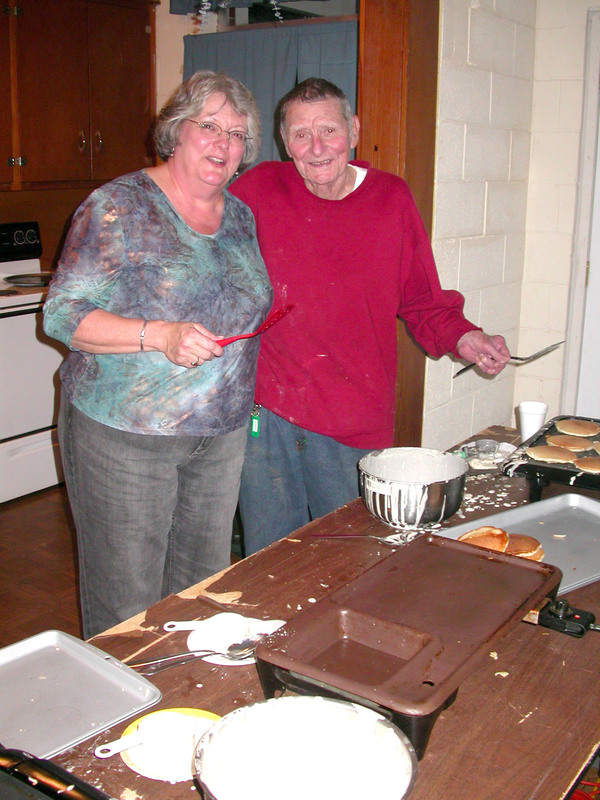 Pam Cook and Julius Blume headed up the Pancake Supper for the Trenton United Methodist Church, held on Mardis Gras. Pictured here, Pam is serving and Julius is flippin’. It was a full house. The late SFC Chester Jennings (native of Edgefield), US Army (Ret. 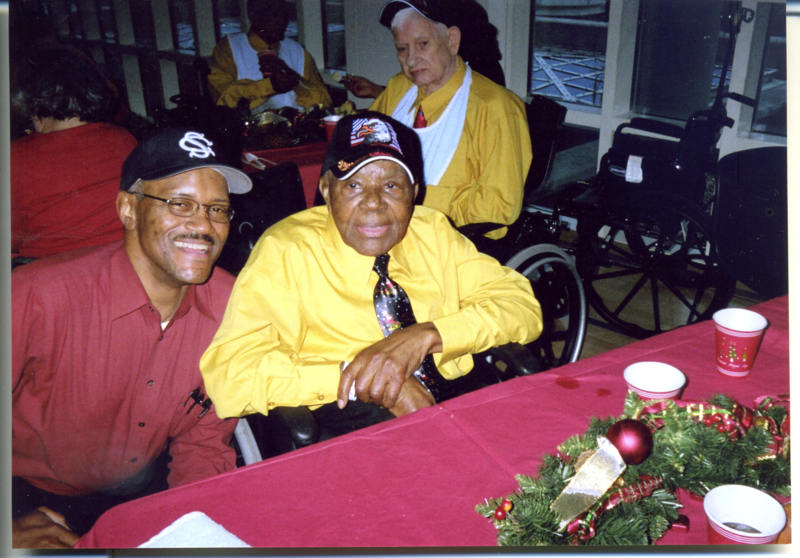 ), and his son Chester (left) were photographed during a family visit before his death. An acknowledgment of this distinguished serviceman’s military career is found in the pages of the Advertiser, 2/29/12. Young Jennings is a graduate of Strom Thurmond High School and makes his home in Irmo, SC, now.